This bright chestnut, pure Funquest mare is sired by Funquest Seahawk. She is a granddaughter and a great granddaughter of Funquest Talstar. 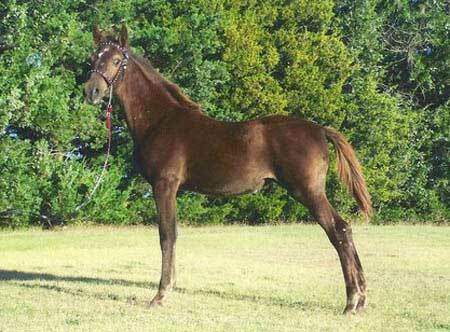 Her maternal grandsire, Funquest Antigo. Being blessed with the Funqest stamp, Chrisma is undoubtly be a great asset in our broodmare band.